A lot of companies claim to be local roofers, but we truly are! Based in Centennial since 2015, our experience in the roofing industry goes back decades. 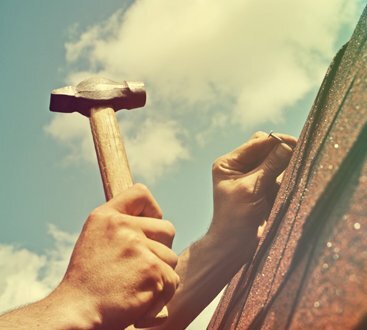 If you’re looking for a roofing company that always strives to provide an exceptional, stress-free experience at a great value, you want to call Jack the Roofer. We’re A+-rated by the Better Business Bureau and offer a five-year workmanship warranty on all our roof installation services. If you don’t see your city or town listed, give us a call anyway, and we’ll let you know if we can help you with your residential or steep-slope commercial roofing needs. Jack the Roofer provides the following services to homes and businesses. 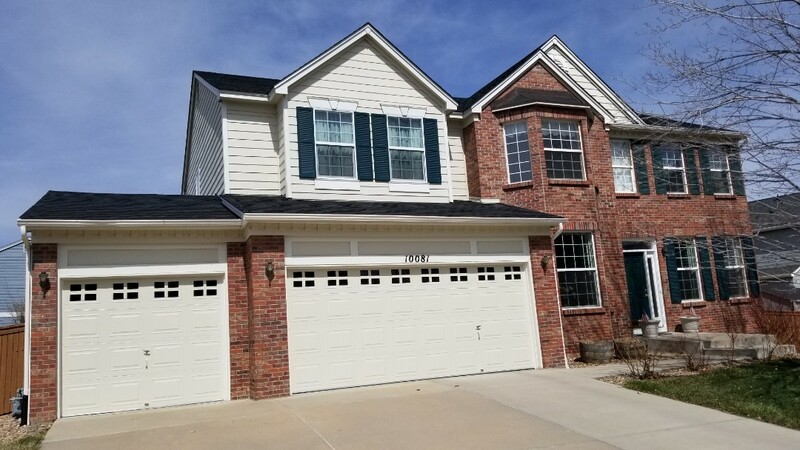 Roof replacement – We install products from the leading manufacturers in the industry including Owens Corning, CertainTeed and TAMKO. We want to be your steep-slope roof replacement company. New roof installation – If you’re a builder or remodeler, Jack the Roofer wants to work with you. You’ll appreciate that we finish our jobs on time and on budget. Roof maintenance – Regular maintenance is important to your roof’s overall health. An annual inspection detects and repairs minor issues before they become big problems. Roof repair – Even the best-maintained roof may need repair during its lifetime. If you find your home needs roof repair, call us for a fair estimate and a superior repair. Insurance claims – From hail to wind and fire, we accept all insurance claims. 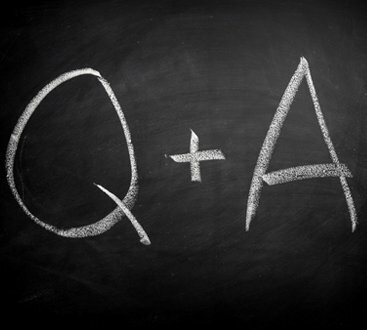 We will advocate on your behalf if we don’t think your insurance company is fairly covering the damage to your home. 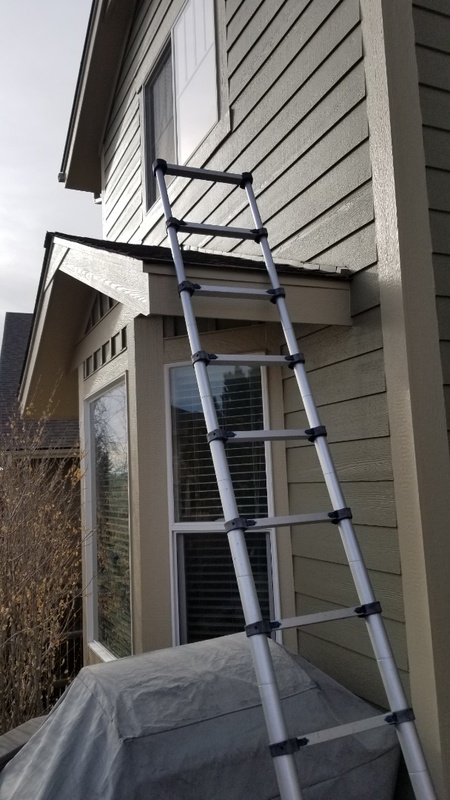 Gutters – We can replace or install gutters in conjunction with a roof replacement or new roof installation, or if it’s just time for new gutters. 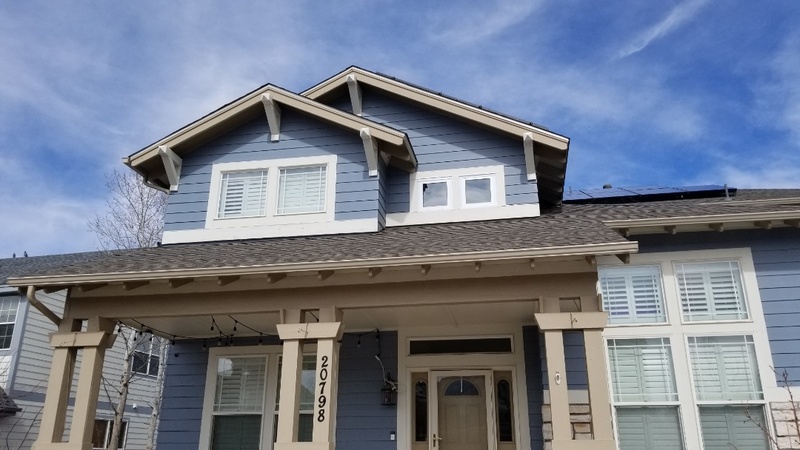 Whether you’re an apartment complex manager or homeowner, we want to be your local roofers for all your steep-slope roofing needs. Call Jack the Roofer at (720) 722-2255 or fill out our contact form for a free roofing estimate. Jack and his team did a great job in replacing our gutters! Demo and install done all in one day! 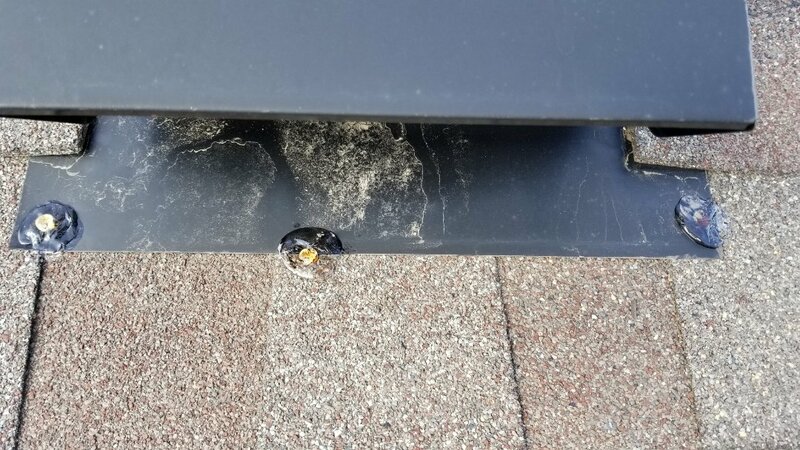 Purchased a new house, and inspection showed the need for some roof repairs. After the seller’s roofer failed to show for four appointments, I suggested Jack. As when he’s done work for us at our previous home, he was timely, friendly, and above all professional. Reasonable charges as well! Heartily recommend, plus you can’t forget the name! Jack was very easy to work with. He was prompt and up front about everything. We were in a pinch trying to get the roof replaced before we sold the house and he was able to make it happen. We have also have solar panels on our roof and he was great about working with the solar company to remove the modules. Overall fantastic experience! Jack put a roof gutters painted our home and did our screens The work was done to perfection and he did everything he promised. This quality of excellence in today’s world Is hard to come by. I would recommend Jack to anyone. He is the best roofer of all time! We did a full roof replacement on this house. 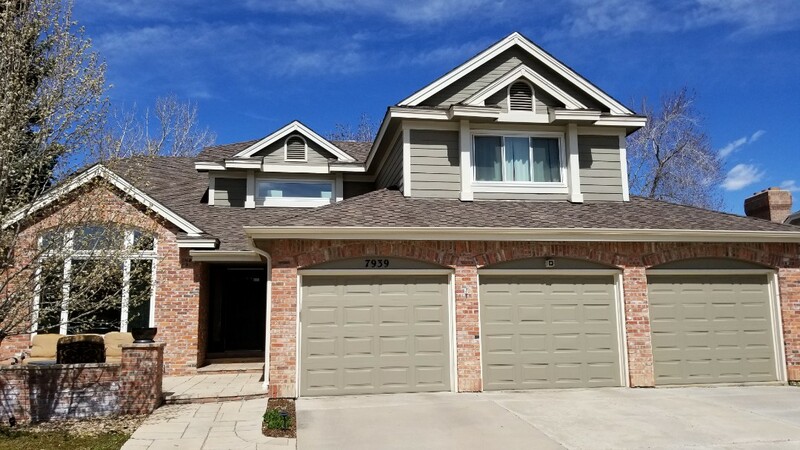 We removed her old asphalt shingles because they were damaged in a hail storm and her insurance covered a new roof, new gutters and various other items. Her new roof is by CertainTeed, Presidential TL shingles in Weathered Wood color. 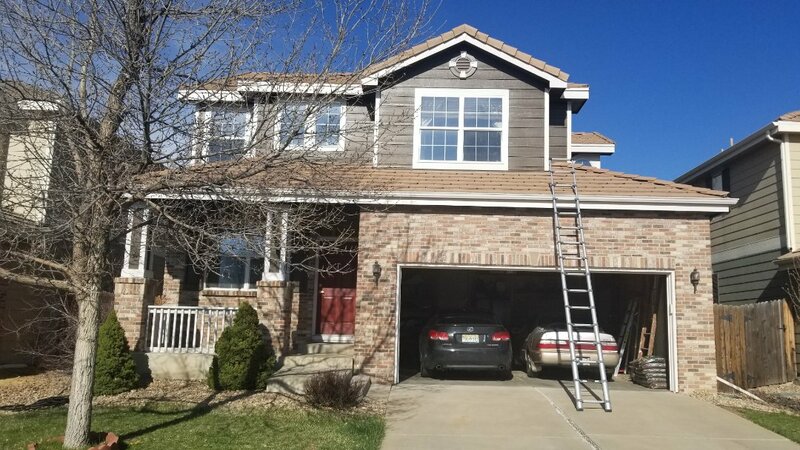 We replaced a section of concrete tile roofing on a house in Lone Tree, Heritage Hills. There was some rotten wood decking that had been getting wet for years and had to be replaced. 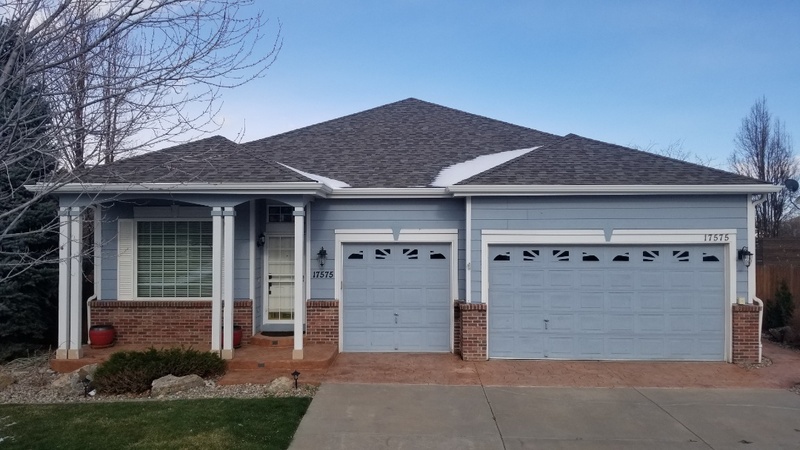 We installed ice and water shield on the entire section and re-installed the concrete roof tiles so it would match the rest of the roof. Now it's better than new! We did a roof replacement on a section of roofing that was leaking around a chimney. We installed removed all the old roofing material and installed ice and water shield and new shingles and ridge. We completed a concrete tile roof repair for a house that is being sold. The flashing was installed improperly so we added flashing and calking and put it all back together. We finished up a new roof replacement on this house with new 6" gutters and gutter screens because next week comes his new solar panels! We installed Owens Corning Duration shingles in Driftwood color. 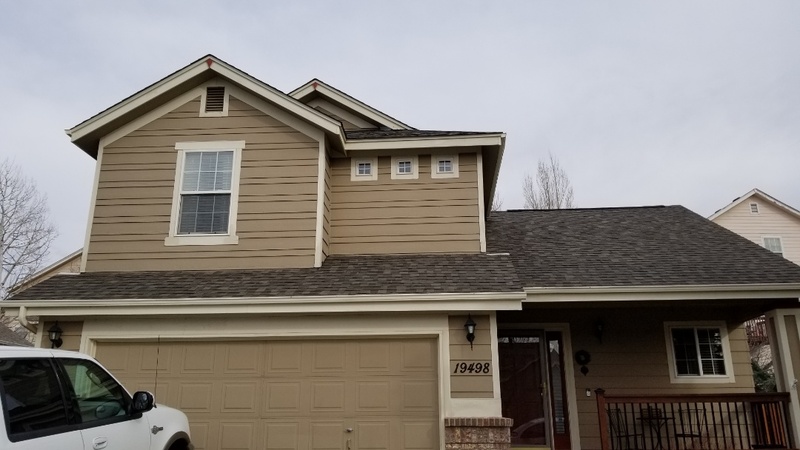 This roof was inspected due to the solar panel installation but we actually had this roof approved for replacement with insurance proceeds from the hail storm in Parker last year. We are completing a full roof replacement with all new gutters and downspouts. We are using Owens Corning Duration shingles in Estate Gray color. This roof is being replaced due to a large hail storm last year. An insurance claim was filed and approved. We are evaluating a roof leak and discovered that water is getting in at the nails that hold down the step flashing. 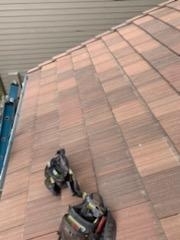 We completed small roof repair on this roof where the roof vent was leaking. We finished up a new roof with Tamko Heritage shingles in black color. 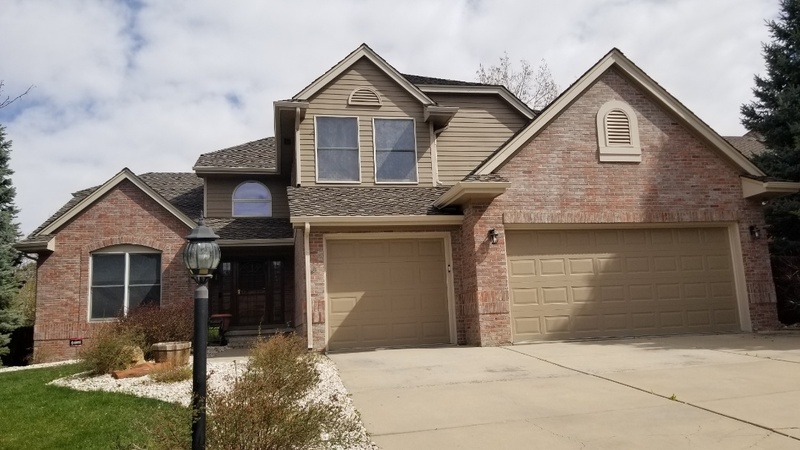 We did this roof replacement because of hail damage and the insurance company approved a new roof and some other collateral damage around the house. 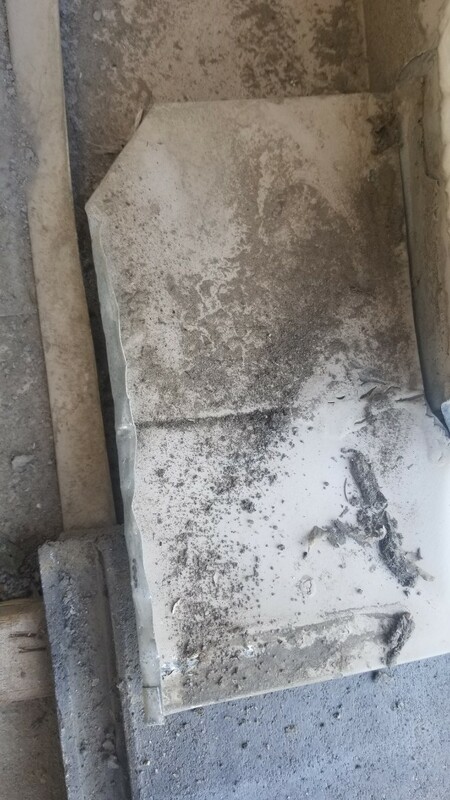 We fixed some flashing on a concrete tile roof that caused a roof leak when there is heavy rain. Tile roof repair where a roof tile was dislodged from the wind last week. We put the tile back into place and sealed it with sealant as well as various tiles around the roof. We completed a skylight repair where water had been getting in due to some insufficient flashing on the roof. We did a post roof installation inspection as a 3rd party today to ensure all the roofing and gutters were installed correctly. 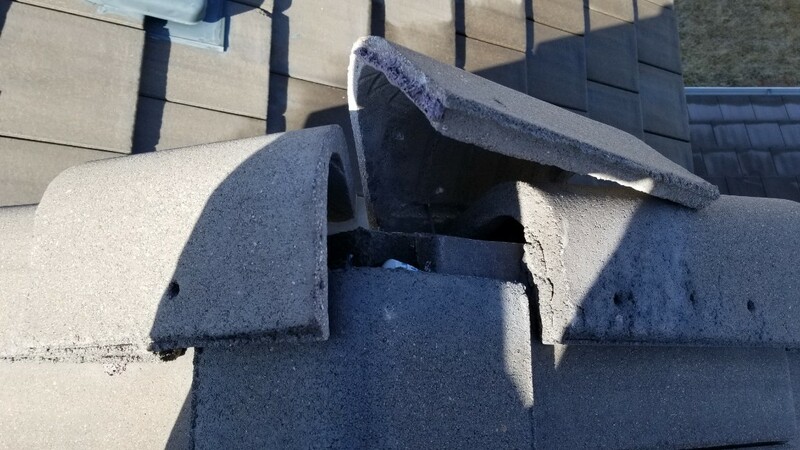 This house is being sold soon and the home owner wanted to be sure that the roof would not end up on a buyer's inspection objection list! 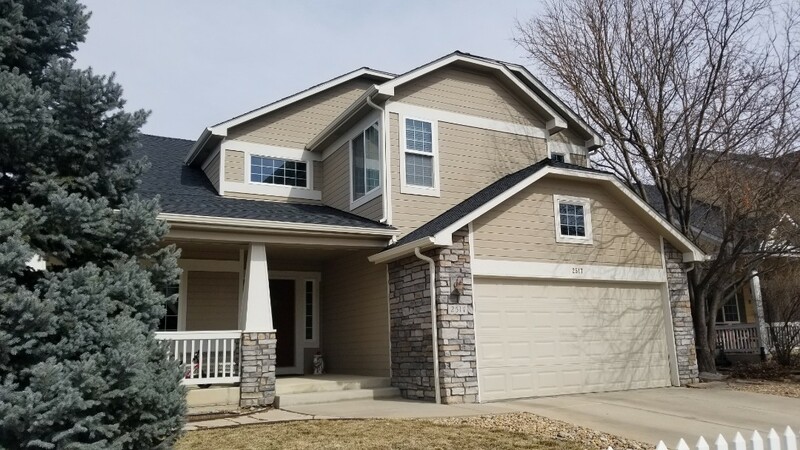 We did a full roof replacement on this house with designer color called "Storm Cloud Gray" from Owens Corning which we think looks fantastic on this house. We installed additional ventilation and new roofing material over the carport. Roof repair on wood shake roof. 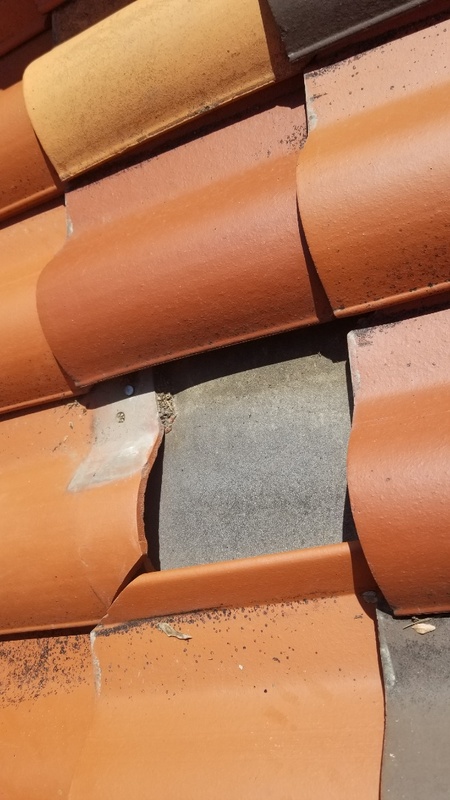 We replaced the pipe flashings on this roof where a squirrel had been digging at the rubber. 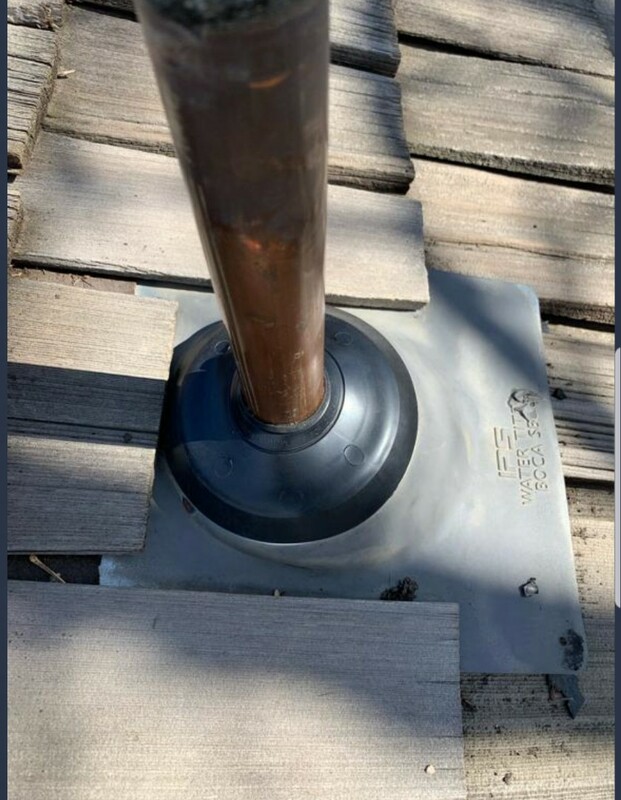 We replaced the rubber without disturbing the wood shingles around the pipe as to not do additional damage to the fragile shakes. 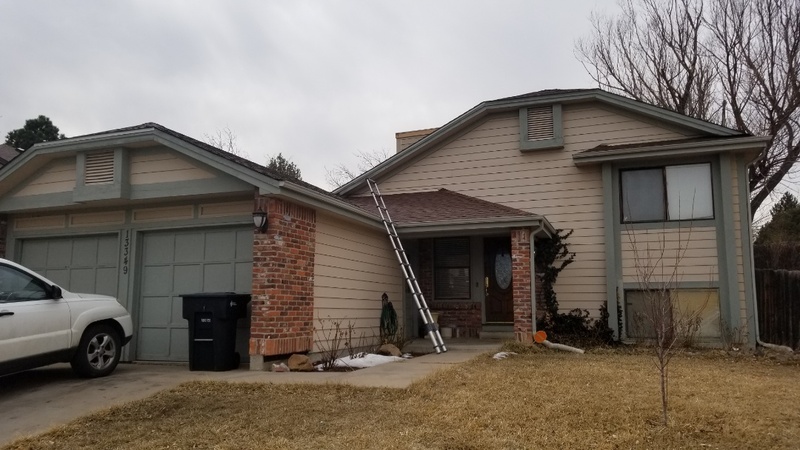 We completed a full roof replacement with new gutters and downspouts due to the hail storm last year. We collaborated with the solar company to have the panels remove and reset as well. We installed a Tamko Heritage shingle in weathered wood color.